Fears of cash shortages and financial chaos are casting shadows over hopes of a relaxing Greek getaway this summer. It's bad timing for Greece's crucial tourism industry with the busy European summer vacation season just beginning. "There is no doubt that new bookings have slowed in the last few days," said Chris Wright, the manager director of the Sunvil Group, a British travel agency. "We are, however, still getting bookings coming through which is encouraging, just not at the rate that we would expect for this time of year." Tourism contributed about 16% to the country's GDP in 2013, according to World Travel and Tourism Council, and was forecast to climb to more than 19% by 2024. But experts believe the financial mess will hurt visitor numbers. Euromonitor International forecast modest international arrivals growth of 3% in 2015, a huge reduction from the record 23% boost enjoyed in 2014. 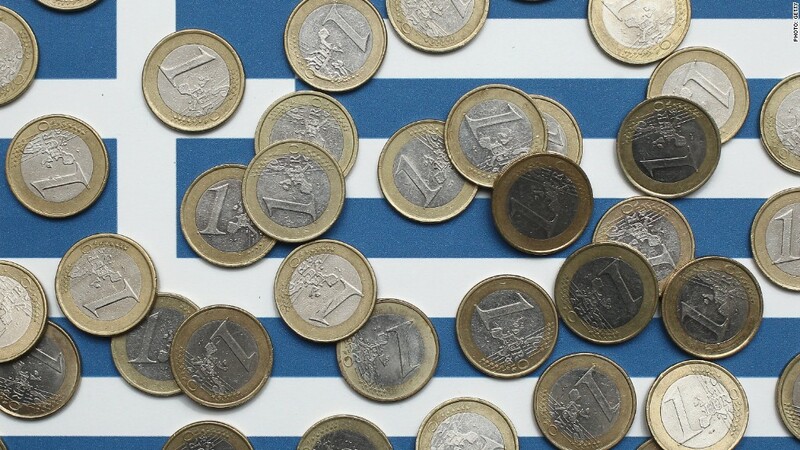 "The main issue tourists in Greece may face...is a liquidity threat," said Angelo Rossini, a travel analyst at Euromonitor. The country, which welcomed more than 22 million tourists last year, faces a looming cash crisis as the amount of money moving through the system is reduced. Daily ATM withdrawals are capped at 60 euros, or about $67, for locals and lines were forming Monday. So far the advice from tourist operators to vacationers has been take plenty of cash even though the government has made efforts to limit damage to tourism by exempting visitors -- for now at least -- from capital controls. The restrictions on withdrawals do not apply to transactions or withdrawals made via ATMs using foreign-issued debit or credit cards. The Association of British Travel Agents doesn't expect companies will have to rebook customers to new destinations just yet, but urges travelers to take out insurance in case they need to cancel a holiday. With its chain of sparkling islands and rich historic appeal, Greece entices great numbers of travelers from around the world. Germans are the largest tourist group, according to Euromonitor International, followed by the U.K, Russia and France. Travelers from the U.S. ranked 12th, with around 570,000 visiting Greece last year. It's been a strong couple of years for Greek tourism. International arrivals climbed a record 23% in 2014 from a year earlier, as confidence in the Greek economy began to slowly rebuild and it briefly pulled out of its recession.